Chris Cleveland was hunting with Western Wildlife Adventures in Nevada during the 2000 deer season when he took this great 3x3 mule deer buck. Its antler spread is 25 inches. 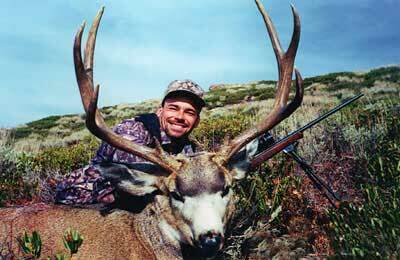 If you are interested in a hunt like this, contact Western Wildlife Adventures at www.wildlifeadv.com. Remember, the dateline for applications for Nevada is March 15.